The illegal drug trade is a global black market dedicated to the cultivation, manufacture, distribution and sale of drugs that are subject to drug prohibition laws. Most jurisdictions prohibit trade, except under license, of many types of drugs through the use of drug prohibition laws. A UN report has stated that "the global drug trade generated an estimated US$321.6 billion in 2003." With a world GDP of US$36 trillion in the same year, the illegal drug trade may be estimated as nearly 1% of total global trade. Consumption of illegal drugs is widespread globally. Chinese edicts against opium smoking were made in 1729, 1796 and 1800. Addictive drugs were prohibited in the west in the late 19th and early 20th centuries. In the early 19th century, an illegal drug trade in China emerged. The Chinese government responded by enforcing a ban on the import of opium that led to the First Opium War (1839-1842) between the United Kingdom and Qing dynasty China. Chinese authorities had banned opium, but the United Kingdom forced China to allow British merchants to trade opium. Trading in opium was lucrative, and smoking opium had become common in the 19th Century, so British merchants increased trade with the Chinese. As a result of this illegal trade, by 1838 the number of Chinese opium addicts had grown to between four and twelve million. The Second Opium War broke out in 1856, with the British joined this time by the French. After the two opium wars, the British Crown, via the treaties of Nanking and Tianjin, took large sums of money from the Chinese government through this illegal trade, which were referred to as "reparations". In 1868, as a result of the increased use of opium, the UK restricted the sale of opium in Britain by implementing the 1868 Pharmacy Act. In the United States, control of opium was a state responsibility until the introduction of the Harrison Act in 1914, following the passing of the International Opium Convention in 1912. Between 1920 and 1933, by Eighteenth Amendment to the United States Constitution, alcohol was banned in the United States. Prohibition proved to be almost impossible to enforce and resulted in the rise of organized crime, including the modern American Mafia which identified enormous business opportunities in the manufacturing, smuggling and sale of illicit liquor. The Australian Crime Commission's illicit drug data report for 2011-2012 was released in Western Sydney on 20 May 2013, and revealed that the seizures of illegal substances in Australia during the reporting period were the largest in a decade, due to record interceptions of amphetamines, cocaine and steroids. The beginning of the 21st century saw a drug use increase in North America and Europe, with a particularly increased demand for marijuana and cocaine. As a result, international organized crime syndicates such as the Sinaloa Cartel and 'Ndrangheta have increased cooperation among each other in order to facilitate trans-Atlantic drug trafficking. Another illicit drug with increased demand in Europe is hashish, which is generally smuggled from Morocco to Spain, where it is later exported to its final markets (mostly France and Western Europe). The UN Commission on Narcotic Drugs (CND), the chief drug policymaking body of the United Nations, held its annual meeting in Vienna, Austria in mid-March 2014, following a period of historic drug policy reforms throughout the world—such as the decision of the Uruguay government to become the first national jurisdiction in the world to legalize cannabis. The International Drug Policy Consortium stated in the lead-up to the meeting that "[t]he meeting itself is likely to feature standoffs between reform-oriented countries and governments that favour failed criminal justice models, which have resulted in mass incarceration and rampant human rights abuses such as the death penalty for non-violent drug offences." The support of drug policy reform by Joanne Csete, deputy director of the Open Society Global Drug Policy Program, was also published in the consortium's media release that "[t]here will be no shortage of governments that seek to bury their heads in the sand and pretend these drug policy reforms aren't happening. But try as they might, the movement for drug law reform is unstoppable." In many countries worldwide, the illegal drug trade is thought to be directly linked to violent crimes such as murder. This is especially true in developing countries, such as Honduras, but is also an issue for many developed countries worldwide. In the late 1990s in the United States the Federal Bureau of Investigation estimated that 5% of murders were drug-related. In Colombia, Drug violence can be caused by factors such as, the economy, poor governments, and no authority within the law enforcement. For more details on this topic, see Corruption in Venezuela and Illegal drug trade in Venezuela. Historically Venezuela has been a path to the United States and Europe for illegal drugs originating in Colombia, through Central America, Mexico and Caribbean countries such as Haiti, the Dominican Republic, and Puerto Rico. 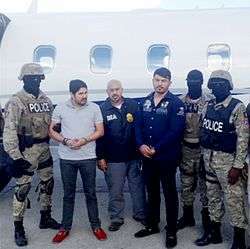 On 18 November 2016, Venezuelan President Nicolás Maduro's two nephews were found guilty of trying to ship drugs into the United States so they could "obtain a large amount of cash to help their family stay in power". Cargo planes are now also used for transport from the production countries to West Africa. Before this, cocaine was only shipped to the US. Because the market became saturated there, illicit drug traders decided to increase shipping to Europe. When these new drug routes were uncovered by authorities, West Africa was chosen as a stop-over. In 2005, police intercepted a major cocaine shipment for the first time. According to the Africa Economic Institute, the value of illicit drug smuggling in Guinea-Bissau is almost twice the value of the country's GDP. Police officers are often bribed. A police officer's normal monthly wage of $93 is less than 2% of the value of 1 kilogram (2.2 lb) of cocaine (€7000 or $8751). The money can also be laundered using real estate. A house is built using illegal funds, and when the house is sold, legal money is earned. When drugs are sent over land, through the Sahara, the drug traders have been forced to cooperate with terrorist organizations, such as Al Qaida in Islamic Maghreb. A large amount of drugs are smuggled into Europe from Asia. The main source of these drugs is Afghanistan. Farmers in Afghanistan produce drugs which are smuggled into the West and central Asia. Iran is a main route for smugglers. The Border Police Chief of Iran says his country "is a strong barrier against the trafficking of illegal drugs to Caucasus, especially the Republic of Azerbaijan." The effects of the illegal drug trade in the United States can be seen in a range of political, economic and social aspects. Increasing drug related violence can be tied to the racial tension that arose during the late 20th century along with the political upheaval prevalent throughout the 1960s and 70s. The second half of the 20th century was a period when increased wealth, and increased discretionary spending, increased the demand for illicit drugs in certain areas of the United States. A large generation, the baby boomers, came of age in the 1960s. Their social tendency to confront the law on specific issues, including illegal drugs, overwhelmed the understaffed judicial system. The federal government attempted to enforce the law, but with meager affect. Marijuana was a popular drug seen through the Latin American trade route in the 1960s. Cocaine became a major drug product in the later decades. Much of the cocaine is smuggled from Colombia and Mexico via Jamaica. This led to several administrations combating the popularity of these drugs. Due to the influence of this development on the U.S. economy, the Reagan Administration began "certifying" countries for their attempts at controlling drug trafficking. This allowed the US to intervene in activities related to illegal drug transport in Latin America. Continuing into the 1980s, the United States instated stricter policy pertaining to drug transit through sea. As a result, there was an influx in drug-trafficking across the Mexico–US border. This increased the drug cartel activity in Mexico. By the early 1990s, so much as 50% of the cocaine available in the United States market originated from Mexico, and by the 2000s, over 90% of the cocaine in the United States was imported from Mexico. In Colombia, however, there was a fall of the major drug cartels in the mid-1990s. Visible shifts occurred in the drug market in the United States. Between the years 1996 and 2000, US consumption of cocaine had dropped by 11%. In 2008, the United States government initiated another program, known as The Merida Initiative, to help combat drug trafficking in Mexico. This program increased US security assistance to $1.4bn over several years, which helped supply Mexican forces with "high-end equipment from helicopters to surveillance technology." Despite US aid, Mexican "narcogangs" continue to outnumber and outgun the Mexican Army, allowing for continued activities of drug cartels across the US-Mexico border. Although narcotics are illegal in the US, they have become integrated into the nation's culture and are seen as a recreational activity by sections of the population. Illicit drugs are considered to be a commodity with strong demand, as they are typically sold at a high value. This high price is caused by a combination of factors that include the potential legal ramifications that exist for suppliers of illicit drugs and their high demand. Despite the constant effort by politicians to win the war on drugs, the US is still the world’s largest importer of illegal drugs. Throughout the 20th century, narcotics other than cocaine also crossed the Mexican border, meeting the US demand for alcohol during 1920s Prohibition, opiates in the 1940s, marijuana in the 1960s, and heroin in the 1970s. Most of the U.S. imports of drugs come from Mexican drug cartels. In the United States, around 195 cities have been infiltrated by drug trafficking that originated in Mexico. An estimated $10bn of the Mexican drug cartel’s profits come from the United States, not only supplying the Mexican drug cartels with the profit necessary for survival, but also furthering America's economic dependence on drugs. Over the past few decades drug cartels have become integrated into Mexico’s economy. Approximately 500 cities are directly engaged in drug trafficking and nearly 450,000 people are employed by drug cartels. Additionally, the livelihood of 3.2 million people is dependent on the drug cartels. Between local and international sales, such as to Europe and the United States, drug cartels in Mexico see a $25–30bn yearly profit, a great deal of which circulates through international banks such as HSBC. Drug cartels are fundamental in local economics. A percentage of the profits seen from the trade are invested in the local community. Such profits contribute to the education and healthcare of the community. While these cartels bring violence and hazards into communities, they create jobs and provide income for its many members. By the 1980s, Colombian cartels became the dominant cocaine distributors in the US. This led to the spread of increased violence throughout both Latin America and Miami. In the 1980s, two major drug cartels emerged in Colombia: the Medellin and Cali groups. Throughout the 90's however, several factors led to the decline of these major cartels and to the rise of smaller Colombian cartels. The U.S. demand for cocaine dropped while Colombian production rose, pressuring traffickers to find new drugs and markets. In this time period, there was an increase in activity of Caribbean cartels that led to the rise of an alternate route of smuggling through Mexico. This led to the increased collaboration between major Colombian and Mexican drug traffickers. Such drastic changes in the execution of drug trade in Colombia paired with the political instabilities and rise of drug wars in Medellin and Cali, gave way for the rise of the smaller Colombian drug trafficking organizations (and the rise of heroin trade). As the drug trade’s influence over the economy increased, drug lords and their networks grew in their power and influence in society. The occurrences in drug-related violence increased during this time period as drug lords fought to maintain their control in the economy. Typically a drug cartel had support networks that consisted of a number of individuals. These people individuals ranged from those directly involved in the trade (such as suppliers, chemists, transporters, smugglers, etc.) as well as those involved indirectly in the trade (such as politicians, bankers, police, etc.). As these smaller Colombian drug cartels grew in prevalence, several notable aspects of the Colombian society gave way for further development of the Colombian drug industry. For example, until the late 1980s, the long-term effects of the drug industry were not realized by much of society. Additionally, there was a lack of regulation in prisons where captured traffickers were sent. These prisons were under-regulated, under-funded, and under-staffed, which allowed for the formation of prison gangs, for the smuggling of arms/weapons/etc., for feasible escapes, and even for captured drug lords to continue running their businesses from prison. While the recreational use of (and consequently the distribution of) cannabis is illegal in most countries throughout the world, it is available by prescription or recommendation in many places, including Canada and some US states, with Washington state and Colorado being the two first states to legalize marijuana for recreational use, although importation and distribution is prohibited at the federal level. Beginning in 2014, Uruguay became the first country to legalize cultivation, sale, and consumption of cannabis for recreational use for adult residents. Some studies show that the increased legalization of cannabis in the United States, following Colorado Amendment 64, has led to a change in Mexican cartel behavior, with cartels increasingly smuggling heroin. Alcohol, in the context of alcoholic beverages rather than denatured alcohol, is illegal in a number of countries, such as Saudi Arabia, and this has resulted in a thriving illegal trade in alcohol. The manufacture, sale, transportation, importation and exportation of alcoholic beverage were illegal in the United States during the time known as the Prohibition in the 1920s and early 1930s. Up until around 2004 the majority of the world's heroin was produced in an area known as the Golden Triangle (Southeast Asia). However, by 2007, 93% of the opiates on the world market originated in Afghanistan. 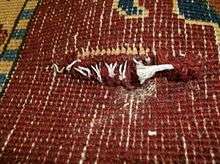 This amounted to an export value of about US$64 billion, with a quarter being earned by opium farmers and the rest going to district officials, insurgents, warlords and drug traffickers. 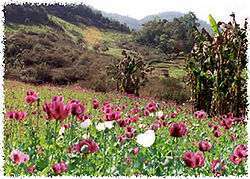 Another significant area where poppy fields are grown for the manufacture of heroin is Mexico. Because of the high cost per volume, heroin is easily smuggled. A US quarter-sized (2.5 cm) cylindrical vial can contain hundreds of doses. From the 1930s to the early 1970s, the so-called French Connection supplied the majority of US demand. Allegedly, during the Vietnam War, drug lords such as Ike Atkinson used to smuggle hundreds of kilos of heroin to the US in coffins of dead American soldiers (see Cadaver Connection). Since that time it has become more difficult for drugs to be imported into the US than it had been in previous decades, but that does not stop the heroin smugglers from getting their product across US borders. Purity levels vary greatly by region with Northeastern cities having the most pure heroin in the United States. In South Africa methamphetamine is called "tik" or "tik-tik". Children as young as eight are abusing the substance, smoking it in crude glass vials made from light bulbs. Since methamphetamine is easy to produce, the substance is manufactured locally in staggering quantities. Temazepam, a strong hypnotic benzodiazepine, is illicitly manufactured in clandestine laboratories (called jellie labs) to supply the increasingly high demand for the drug internationally. Many clandestine temazepam labs are in Eastern Europe. The labs manufacture temazepam by chemically altering diazepam, oxazepam or lorazepam. "Jellie labs" have been identified and shutdown in Russia, the Ukraine, Czech Republic, Latvia and Belarus. ↑ "History of the Opium Trade in China". ↑ "Illegal Drugs in America: A Modern History". Deamuseum.org. Retrieved 2011-11-26. ↑ "The 1912 Hague International Opium Convention". Druglibrary.org. Retrieved 2011-11-26. ↑ "History of Legislative Control Over Opium, Cocaine, and Their Derivatives". Druglibrary.org. Retrieved 2011-11-26. ↑ Hanes, William Travis; Sanello, Frank (2004). The Opium Wars: The Addiction of One Empire and the Corruption of Another. Sourcebooks, Inc. p. 34. ISBN 978-1-4022-0149-3. ↑ Berridge, Virginia; Edwards, Griffith (1981). Opium and the People, Opiate Use in Nineteenth-Century England. 1 2 MARK SCHLIEBS (20 May 2013). "Purity on the rise as ice tops the drugs wave". The Australian. Retrieved 20 May 2013. ↑ "Narconomics". The Economist. 25 June 2014. Retrieved 18 May 2016. ↑ "Of bongs and bureaucrats". The Economist. 17 January 2014. Retrieved 18 May 2016. ↑ Laura Smith-Spark and Hada Messia; CNN (11 February 2014). "Gambino, Bonanno family members held in joint US-Italy anti-mafia raid - CNN.com". CNN. Retrieved 18 May 2016. ↑ rebecca.wabwoba. "Drug trafficking". Retrieved 18 May 2016. ↑ "Drug smugglers set £50million of hash on fire and jump overboard in Mediterranean - Daily Mail Online". Mail Online. 7 September 2013. Retrieved 18 May 2016. ↑ "UN drugs meeting opens after historic reforms shatter consensus on drug control system". IDPC. IDPC. 11 March 2014. Retrieved 14 March 2014. ↑ "Asia-Pacific | Australian executed in Singapore". BBC News. 2005-12-02. Retrieved 2013-06-09. ↑ "Two Friends Sent To The Gallows For Drug Trafficking". Bernama.com. Retrieved 2011-11-26. ↑ Los Angeles Times (18 January 2015). "Outcry after Indonesia executes 6 for drug trafficking". latimes.com. Retrieved 18 May 2016. ↑ "Organized Crime: The World's Largest Social Network". WIRED. 31 January 2011. Retrieved 18 May 2016. ↑ "How the Wildlife Trade Relates to Other Illicit Trades". One Green Planet. Retrieved 18 May 2016. ↑ Bill McCollum (April 2002). Threat Posed by the Convergence of Organized Crime, Drug Trafficking, and Terrorism: Congressional Hearing. DIANE Publishing. pp. 39–. ISBN 978-0-7567-2082-7. ↑ Linda Helfrich. "Refugees in Ecuador". Retrieved 2010-05-31. ↑ "Estados Unidos denuncia que el 79 porciento de cocaína pasa por Honduras - Radio HRN". Radio HRN. Retrieved 18 May 2016. ↑ "Honduras Has World's Highest Murder Rate: UN". International Business Times. Retrieved 18 May 2016. ↑ International Crisis Group. "The Tunisian Exception: Success and Limits of Consensus". CrisisGroup.org. 5 June 2014. Retrieved 31 July 2014. 1 2 "Drug-Related Crime - Fact sheet - Drug Facts". Whitehousedrugpolicy.gov. Retrieved 2008-10-19. ↑ "Out of control". The Economist. Retrieved 18 May 2016. ↑ Holmes, Jennifer S.; Piñeres, Sheila Amin Gutiérrez De; Curtin, Kevin M. (2007-04-01). "A Subnational Study of Insurgency: FARC Violence in the 1990s". Studies in Conflict & Terrorism. 30 (3): 249–265. doi:10.1080/10576100601148456. ISSN 1057-610X. ↑ Traci Carl (November 3, 2009). "Progress in Mexico drug war is drenched in blood". Associated Press. Retrieved May 4, 2010. ↑ "Transform". TDPF. Retrieved 2011-11-26. ↑ Neuman, William (26 July 2012). "In Venezuela, Remote Areas Provide a Drug Trafficking Hub « Previous". The New York Times. Retrieved 5 June 2015. ↑ al-Ameri, Alaa (31 March 2014). "Venezuela's Drug-Running Generals May Be Who Finally Ousts Maduro". Vice News. Retrieved 26 May 2014. ↑ "Drug seizures Report From Year: 2009 Until Year: 2012 Drug Group: Cocaine-type". United Nations Office on Drugs and Crime. Retrieved 29 May 2015. ↑ Raymond, Nate (19 November 2016). "Venezuelan first lady's nephews convicted in U.S. drug trial". Reuters. Retrieved 19 November 2016. 1 2 "West Africa and Drug Trafficking". www.africaecon.org. Africa Economic Institute. Retrieved 14 October 2013. ↑ "GIABA". GIABA. Retrieved 2013-06-09. ↑ "Iran is a firm barrier against drug trafficking to Caucasus". Young Journalists Club. Young Journalists Club. September 18, 2013. Retrieved September 18, 2013. ↑ Bartlett, Jamie (5 October 2014). "Dark net markets: the eBay of drug dealing". Retrieved 17 May 2015. ↑ "World Drug Report - Global Illicit Drug Trends". Unodc.org. Retrieved 2011-11-26. ↑ Syal, Rajeev (2009-12-13). "Drug money saved banks in global crisis, claims UN advisor". The Guardian. London. ↑ "Why Drug Dealers Live With Their Moms". Los Angeles Times. 2005-04-24. 1 2 3 4 5 6 Bartilow, Horace; Kihong Eom (Summer 2009). "Free Trader and Drug Smugglers: The Effects of Trade Openness of States' Ability to Combat Drug Trafficking". Latin American Politics and Society. 51 (2): 117–145. doi:10.1111/j.1548-2456.2009.00050.x. 1 2 3 4 5 6 7 8 9 10 11 12 13 Lopez Restrepo, Andres; Alvaro Camacho Guizado (2003). "From Smugglers to Warlords: Twentieth Century Colombian Drug Traffickers". Canadian Journal of Latin American and Caribbean Studies. 28 (55/56): 249–275. JSTOR 41800191. 1 2 3 4 5 6 7 O'Neil, Shannon (July–August 2009). "The Real War in Mexico: How Democracy Can Defeat the Drug Cartels". Foreign Affairs. 88 (4): 63–77. JSTOR 20699622. ↑ "Drug Trafficking in the United States". Retrieved 18 May 2016. 1 2 3 4 5 6 7 8 9 Rocha Garcia, Ricardo (2003). "Drug Trafficking and Its Impact on Colombia: An Economic Overview". Canadian Journal of Latin American and Caribbean Studies. 28 (55/56): 277–30. JSTOR 41800192. 1 2 Quinones, Sam (March–April 2009). "State of War". Foreign Policy. 171: 76–80. JSTOR 20684853. 1 2 3 Epstein, RJ (18 November 1989). "Drug Wars in the United States". British Medical Journal. 299 (6710): 1275–1276. doi:10.1136/bmj.299.6710.1275. JSTOR 29706058. 1 2 Naim, Moises (May–June 2009). "The American Prohibition on Thinking Smart in the Drug War". Foreign Policy. 172: 167–168. JSTOR 20684881. ↑ Gootenberg, Paul. "Cocaine's Long March North, 1900-2010". Latin American Politics. 54 (1): 159–180. doi:10.1111/j.1548-2456.2012.00146.x. Retrieved 20 October 2013. 1 2 3 Martinez Jr., Ramiro; Matthew T. Lee; Amie L. Nielsen (Spring 2004). "Segmented Assimilation, Local Context and Determinants of Drug Violence in Miami and San Diego: Does Ethnicity and Immigration Matter?". International Migration Review. 38 (1): 131–157. doi:10.1111/j.1747-7379.2004.tb00191.x. JSTOR 27645360. 1 2 Jacobson, Mireille (Nov 2004). "Baby Booms and Drug Busts: Trends in Youth Drug Use in the United States, 1975-2000". The Quarterly Journal of Economics. 119 (4): 1481–1512. doi:10.1162/0033553042476125. JSTOR 25098723. 1 2 3 4 Chabat, Jorge (December 2010). "Combatting Drugs in Mexico under Calderon: The Inevitable War" (PDF). CIE. 205: 1–14. Retrieved 5 November 2013. 1 2 3 Salvador Maldonado, Aranda (April 2013). "Stories of Drug Trafficking in Rural Mexico: Territories, Drugs and Cartels in Michoacan". European Review of Latin American and Caribbean Studies. 94: 43–66. JSTOR 23408421. 1 2 3 4 5 6 7 8 9 10 11 12 13 14 Morris, Stephen. "Drugs, Violence, and Life in Mexico" (PDF): 216–223. Retrieved 5 November 2013. 1 2 Campbell, Howard (Winter 2008). "Female Drug Smugglers on the U.S. Mexico Border: Gender, Crime, and Empowerment". Anthropological Quarterly. 81 (1): 233–267. doi:10.1353/anq.2008.0004. Retrieved 20 October 2013. 1 2 3 4 5 6 7 8 9 10 Thoumi, Francisco (Jul 2002). "Illegal Drugs in Colombia: From Illegal Economic Boom to Social Crisis". Annals of the American Academy of Political and Social Science: Cross-National Drug Policy. 582: 102–116. doi:10.1177/0002716202058002008. JSTOR 1049737. ↑ "Active State Medical Marijuana Programs - Alaska". Retrieved 29 October 2010. ↑ Campbell, Greg, (13 July 2012) Blunt Trauma - Marijuana, the new blood diamonds The New Republic, Retrieved 17 July 2012. ↑ "Laura Carlsen: How Legalizing Marijuana Would Weaken Mexican Drug Cartels". Huffingtonpost.com. Retrieved 2013-06-09. ↑ "Cash From Marijuana Fuels Mexico's Drug War". NPR. 2010-05-19. Retrieved 2013-06-09. ↑ "Measuring America's changing drug habits, on the border". ↑ City, Ioan Grillo/Mexico. "U.S. Legalization of Marijuana Has Hit Mexican Cartels' Cross-Border Trade". ↑ "Legal Pot in the US Is Crippling Mexican Cartels - VICE News". ↑ "Violent anti-Western extremism is nothing new to Saudi Arabia, but several bombings in the past two years raise fresh questions". Sptimes.com. Retrieved 2013-06-09. ↑ United Nations Office on Drugs and Crime. "Afghanistan Opium Survey 2007" (PDF). Retrieved 2008-01-27. ↑ "Opium Amounts to Half of Afghanistan's GDP in 2007, Reports UNODC" (Press release). UNODC. 2008-11-16. 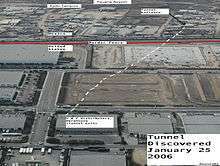 Retrieved 2007-01-27. ↑ "News from DEA, Congressional Testimony, 11/09/05". Dea.gov. Retrieved 2008-10-17. ↑ DEA (2008). "Maps of Methamphetamine Lab Incidents". ↑ Bootie Cosgrove-Mather. "Rolling Meth Labs In Vogue – Methamphetamine Makers Turn Vehicles Into Rolling Drug Labs." CBS News. Published July 17, 2002. Retrieved on 2009-02-14. ↑ NIDA (2008). "NIDA InfoFacts: Methamphetamine". ↑ Sommerfeld, Julia (February 2001). "Beating an addiction to meth". Meth's Deadly Buzz. MSNBC. Retrieved 2008-06-29. ↑ Huang, Jende. "Spreading Meth across the Chinese-North Korean Border". Retrieved 7 June 2012. ↑ Alex Robertson (2003-10-10). "Deadly 'jellies' flood city from Eastern Europe; Police chiefs fear drug-fueled crime surge as home-made tablets hit streets again". Evening Times. ↑ European Monitoring Centre for Drugs and Drug Addiction (EMCDDA), 2006. Annual Report 2006: The State of the Drugs Problem in Europe, EMCDDA, Luxembourg. ↑ Niaz, K (1998). Drug Abuse Monitoring System in Rawalpindiislamabad. Report of the Asian Multicity Epidemiology Workgroup. Eds. Navaratnam V and Bakar A.A., 151-l 60. ↑ Morrison V (April 1989). "Psychoactive substance use and related behaviours of 135 regular illicit drug users in Scotland". Drug Alcohol Depend. 23 (2): 95–101. doi:10.1016/0376-8716(89)90013-6. PMID 2702930. ↑ Sakol MS, Stark C, Sykes R (April 1989). "Buprenorphine and temazepam abuse by drug takers in Glasgow--an increase". Br J Addict. 84 (4): 439–41. doi:10.1111/j.1360-0443.1989.tb00589.x. PMID 2566343. ↑ Lavelle TL, Hammersley R, Forsyth A (1991). "The use of buprenorphine and temazepam by drug injectors". J Addict Dis. 10 (3): 5–14. doi:10.1300/J069v10n03_02. PMID 1932153. ↑ Hammersley R, Lavelle T, Forsyth A (February 1990). "Buprenorphine and temazepam--abuse". Br J Addict. 85 (2): 301–3. doi:10.1111/j.1360-0443.1990.tb03088.x. PMID 1969295. ↑ Hammersley R, Cassidy MT, Oliver J (July 1995). "Drugs associated with drug-related deaths in Edinburgh and Glasgow, November 1990 to October 1992". Addiction. 90 (7): 959–65. doi:10.1046/j.1360-0443.1995.9079598.x. PMID 7663317. ↑ Forsyth AJ, Farquhar D, Gemmell M, Shewan D, Davies JB (May 1993). "The dual use of opioids and temazepam by drug injectors in Glasgow (Scotland)". Drug Alcohol Depend. 32 (3): 277–80. doi:10.1016/0376-8716(93)90092-5. PMID 8348877. ↑ Chowclhury, S. & R&ma& A. (1998). Pattern and trends of drug abuse in Dh&a, Bangladesh. Report of the Asian Multicity Epidemiology Workgroup. Eds. Navamtnam V. and B&a-, A. A.. 144-50. ↑ Baumevieille M, Haramburu F, Bégaud B (1997). "Abuse of prescription medicines in southwestern France". Ann Pharmacother. 31 (7–8): 847–50. doi:10.1177/106002809703100706. PMID 9220042. ↑ Chapleo, C-B. ; Reisinger, M.; Rindom, H. (1997). "European update". Research & Clinical Forums. 19: 33–38. ↑ Chatterjee A, Uprety L, Chapagain M, Kafle K (1996). "Drug abuse in Nepal: a rapid assessment study". Bull Narc. 48 (1–2): 11–33. PMID 9839033. Wikimedia Commons has media related to Drug trafficking.